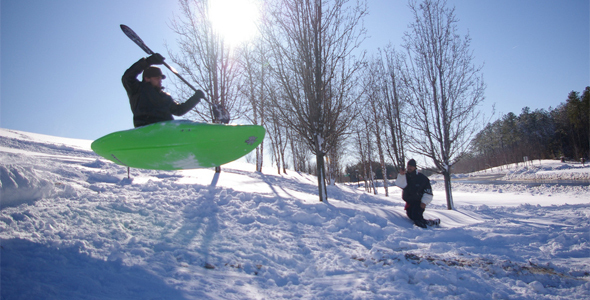 When kayakers get bored in the winter… they take their craft to the snow. Not sure who was the first person to kayak on snow, but it’s genius! The other day I saw the travel guy Rudy Maxa attempting to ski the Sahara dunes, so there must be a lot of this going around.